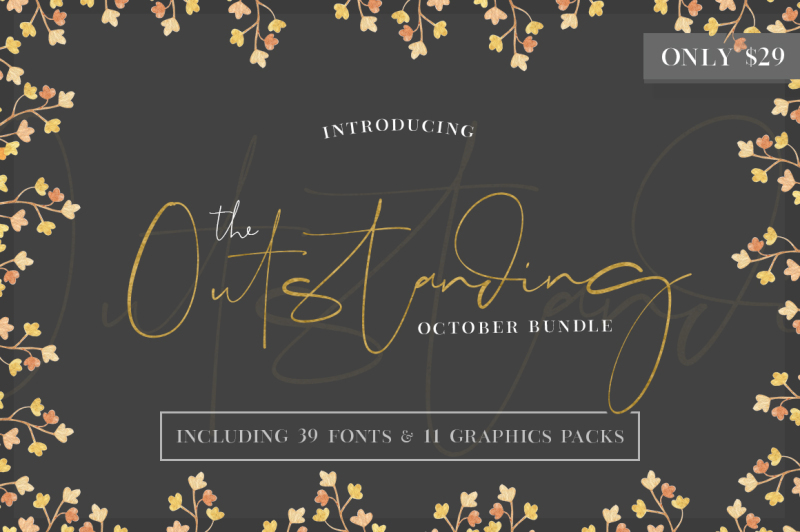 The Outstanding October Bundle is here! 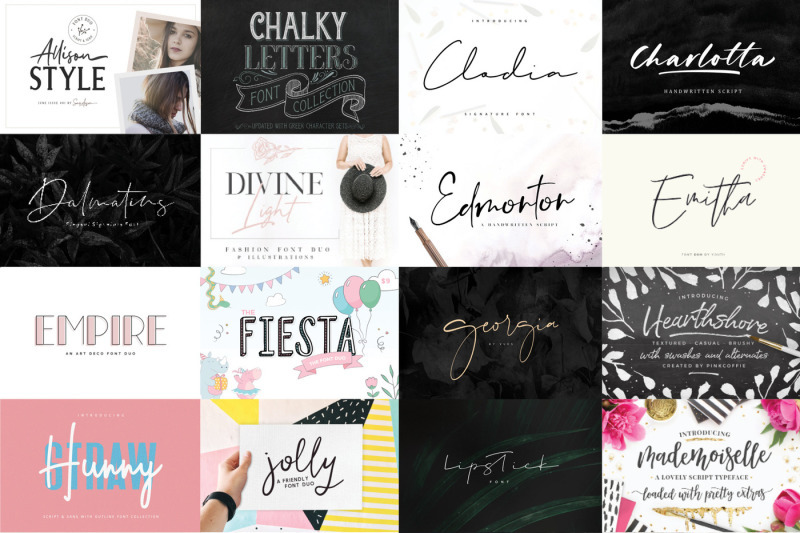 Including over 39 Fonts and 11 Graphics packs for just $29!! This amazing pack is over 96% OFF RRP, but hurry this outstanding collection is only on sale for just one month. As always this amazing pack comes with our complete commercial license. What are you waiting for? Grab your copy today.